The 4th African Tax Symposium was held in Mombasa Kenya from the 9th to 11th May. 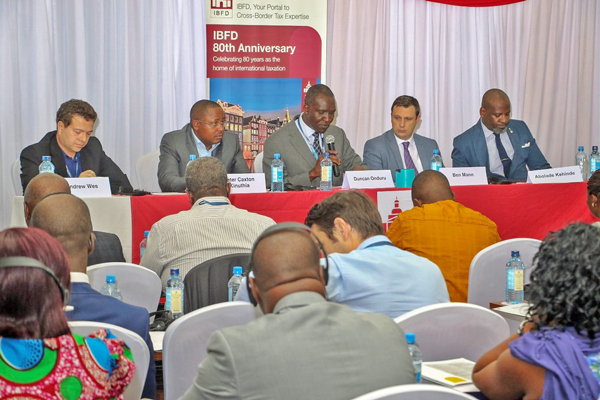 The event, that drew participants from tax professional firms, industry, tax administrations, civil society and the judiciary, is one of the annual calendar events organised by the IBFD to focus on contemporary tax issues of relevance to the continent. The three-day event discussed wide ranging issues, notably the impact of the multilateral instruments on bilateral tax treaties and the opportunities and challenges of global exchange of tax information in the post-BEPS era. CATA was among the key sponsors of the symposium.